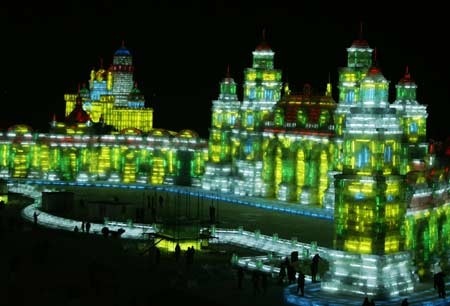 Every year Harbin, located in North East China, hosts International Ice and Snow Sculpture Festival. 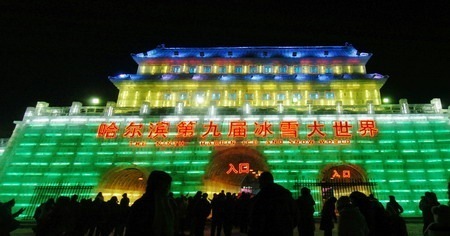 Harbin faces directly the cold winter wind from Siberia. 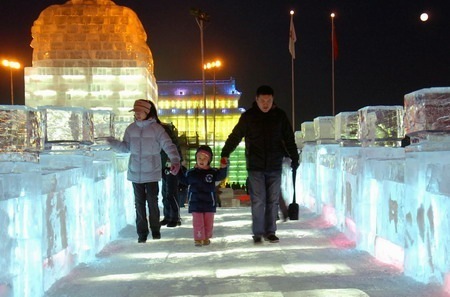 The average temperature in summer is 21.2 degrees Celsius, and in winter it varies from -16.8 degrees to – 38.1 degrees Celsius. 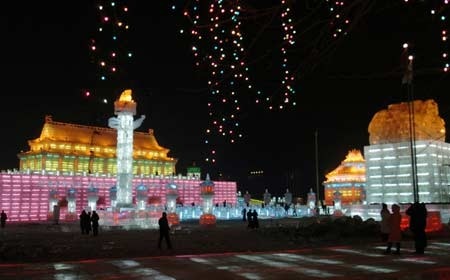 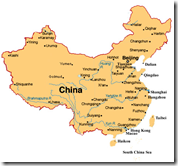 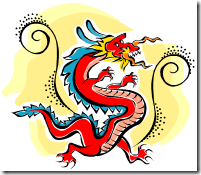 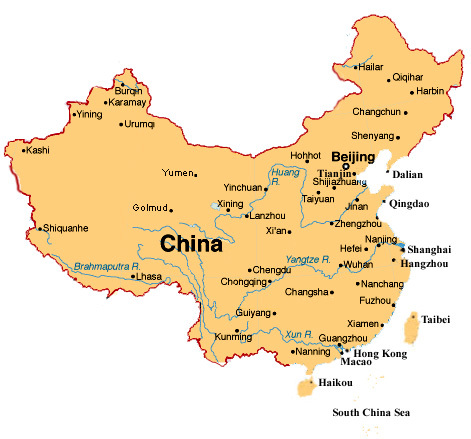 The Harbin festival is one of the world’s four largest ice and snow festivals, along with Japan’s Sapporo Snow Festival, Canada’s Quebec City Winter Carnival, and Norway’s Ski Festival. 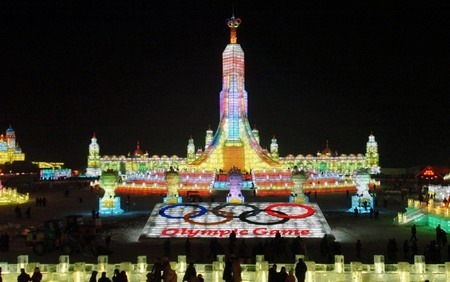 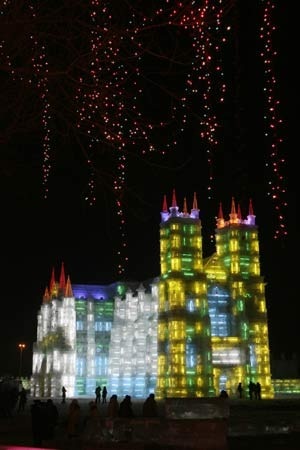 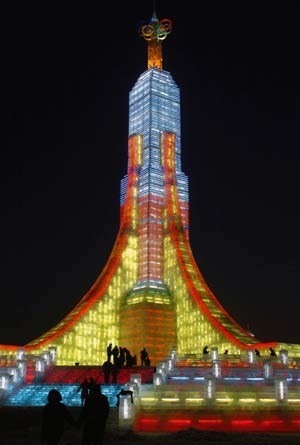 This years theme of the Ice and Snow Sculpture Festival of Harbin is “Ice World, Olympic Dream”. 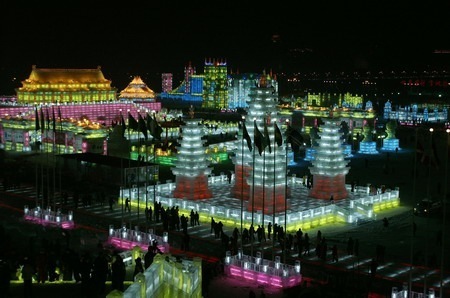 The sculptures at the expo consumed 120,000 cubic metres of snow and 10,000 cubic metres of ice. 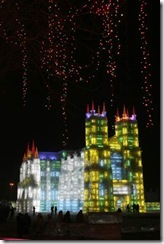 This year the show started on December 20. 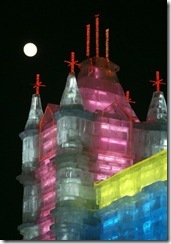 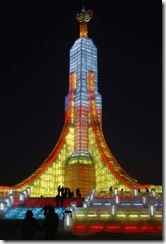 Some Photographs of the Ice and Snow Sculpture Festival 2007 at Harbin. 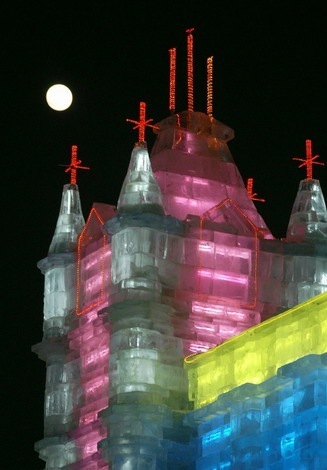 Photographs of ice and snow world of 2008 in Harbin are available at China View.